If you are holding down a job, or you have passive income, you are ready to start building your investment portfolio. 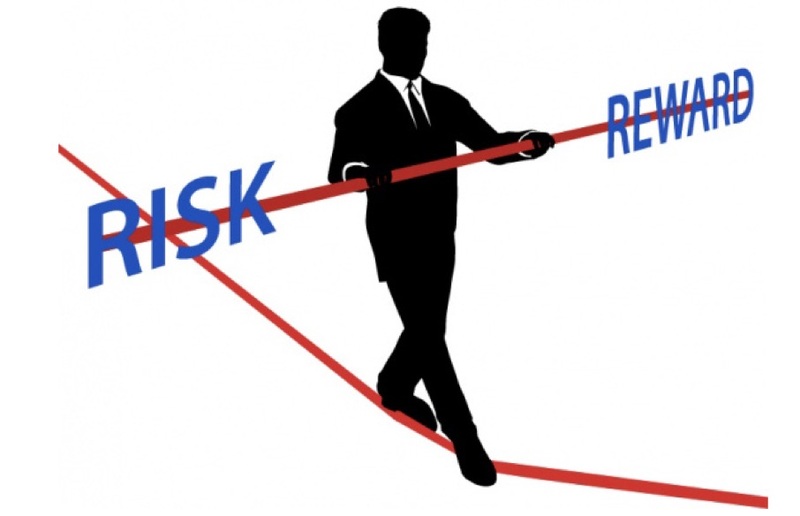 There are several things to consider, not least of which is your risk appetite. The most important thing for you to determine is whether you are a conservative investor or an aggressive investor. Conservative investors are risk averse and typically generates returns of approximately 8.55%, with a high of 30.42% returns and a low of -8%. A moderately conservative investor would generate slightly more average returns at 9.91%, high annual returns of 39.44% and -17.11% in the worst case. Most folks fall into the investor profile deemed moderate. In this category, you can expect average annual returns of 11.01% with a high of around 46.75% and a low of -26.04%. As we move across the spectrum, the next type of investor is a moderately aggressive investor. These types of people are risk-seeking, but not entirely loose cannons. You can expect to generate average annual returns of 11.50% with a high of 49.95% and a low of -30.44%. At the extreme end of the spectrum are aggressive investors. These folks are risk-seeking and are not scared to go all-in. Aggressive investors typically purchase things like biotechnology stocks, newly-listed companies, or other high-risk investments. An aggressive investor can expect average annual returns of 11.99% with a high of 53.21% and a low of -34.79%. 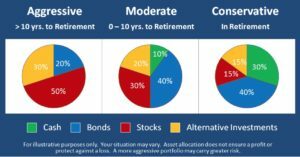 What Type of Asset Allocation Should You Be Looking to Create? This is an interesting question, and it goes to the heart of the type of risk profile you have. Conservative investors naturally have less tolerance for high stock/equities holdings as these are the most volatile. So your financial portfolio will include more cash and fixed-interest bearing investments such as bonds. The precise allocation varies from one financial brokerage to another, but typically bonds and cash would make up 80% of the total asset allocation and stocks 20%. As we move across to the opposite end of the spectrum, we see that aggressive investors (risk-seeking investors) flip those numbers on their head. In other words, they have 80% stocks and 20% bonds and cash. This Begs the Question: Why Are Stocks Perceived as Risky? By and large, stocks are not guaranteed to perform at any point. Fixed-interest-bearing securities like certificates of deposit, Treasury bonds, savings accounts and the like guarantee a certain yield. Stocks are affected by any number of variables, including geopolitical news, interest-rates, economic data releases, company dynamics, and a myriad of other factors. The unpredictability (volatility) of stocks is well known, even big stocks. Since stocks are risky investments, most folks adopt a long-term approach. In order to generate positive returns, the intrinsic value of the stock must increase for an investor to reap the rewards. There are other ways to generate returns on stocks without waiting for them to appreciate in value. These are known as speculative trades. One popular option that is gaining traction with a large and growing trader base is binary options trading. Unlike traditional investments where you need to wait for the stock to appreciate in order to realise returns, binary option trades can generate in the money returns as long as your prediction is correct. There are only two ways that the price of a stock can move – up or down. With this investment option, a speculative estimation is made as to the direction of price movement at expiry on the binary options platform. Each binary options trader provides different terms, but on TradePlus for instance, provided the assumption is correct, the trader will end in the money. It doesn’t matter whether a stock has appreciated. Since you don’t take ownership of the underlying asset, the only thing that matters is the price at expiry time. Fixed returns are guaranteed on in the money trades. The perfect financial portfolio, if one exists, will balance your preference for risk with your preferred asset mix. You must also take your investment horizon into account. The closer you are to retirement, the less risky your overall approach. Younger investors have more flexibility to go for aggressive stocks that pay higher dividends. Fortunately, binary options trading allows you to generate up to 90% returns on in the money trades in next to no time at all. It compresses the entire investment timeframe. For these reasons, a balanced financial portfolio should include binary options as part of the mix.